They say spring is one of the best times to visit Santa Barbara. Before the summer crowds descend and temperatures are still mild, March makes for the perfect month to go exploring in the city. It’s an ideal time for sightseeing. Flowers are blooming in the botanical gardens and the zoo is welcoming babies. When you arrive, you’ll be greeted by gorgeous rolling waves in the playful Pacific. Then you’ll know it’s time to relax. In a bustling beach town, you want to be close to everything. The Eagle Inn is a centrally located Santa Barbara Bed and Breakfast that gives you access to a variety of activities all within your reach. From downtown to the harbor and pier, you’ll be able to discover so much more when you stay in the center of it all. Princess Weekend: Do you want your kids to think you are a hero? Then bring them to the Save the Frogs/Princess Weekend at the Santa Barbara Zoo. The event centers around two things. You guessed it: princesses and frogs. Character’s from your child’s favorite Disney movies, like Sleeping Beauty and Rapunzel, will be there to educate them on how to save the world’s most threatened amphibians. The event includes crafts, games, and special animal appearances—all in the spirit of conservation. Cost: Free with zoo admission. Zoo admission is $18 for an adult and $10 per child. PuppetPalooza: From March 1-4, puppets are taking over the city of Santa Barbara at the unique puppet festival, PuppetPalooza (yes, like the concert). The family-centric event also offers nighttime fun for adults too. It’s a win-win. With over 20 performances and events at venues all over the city, the multi-cultural celebration is intended to bring the community together through creative art. Cost: Ticket prices vary depending on the event. They start at $25. 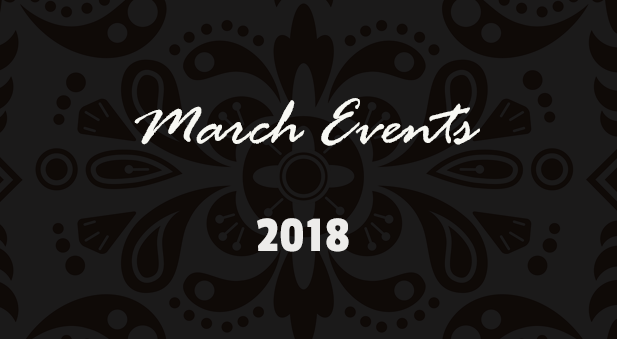 The World of Pinot Noir: For two days the city of Santa Barbara turns into everything Pinot Noir, with a top event at the Ritz-Carlton Bacara Resort & Spa. The World of Pinot Noir is a two-day affair from March 2-3, celebrating the world’s top Pinot Noir brands and wineries. The weekend-long seaside celebration features Michelin Star chefs, wine scholars, top sommeliers, and of course, tons of delicious and storied vintages. Cost: Tickets start at $75 for one event and can go as high as $1,150 for a Weekend Pass. Santa Barbara Jewish Film Festival: Recurring daily from March 15-19 at the New Vic Theatre, the festival reviews films from around the world on themes of Jewish identity and culture. The event is organized every year by the Jewish Federation of Greater Santa Barbara and is a highly anticipated celebration. This year’s five-day festival has films that run the gamut of genres, from documentaries to comedies, and shorts by filmmakers from around the world. Grab your all-admission passes early and start planning your five days of excellent films in Santa Barbara. Cost: Early Bird Passes start at $80 for 13 programs. Sunday Art Walk: For almost two decades, from Stearns Wharf to Calle Cesar Chavez, Cabrillo Blvd. has played host to the Art Walk on Sundays. Located along 150 feet of pristine ocean views, hundreds of exhibitors and vendors show off their stuff to a lively community of residents and tourists alike. Official hours are from 10 a.m. until dusk and of course, there is no charge to absorb the Santa Barbara culture at its finest. Cost: As FREE as your feet. If you need an exciting and convenient way to get to events and festivals, all you have to do is contact our friends at Wheel Fun Rentals. This will give you a whole new way to see the city and the ocean. March in Santa Barbara is one of the best months to visit because it’s cool, quiet, and there’s plenty to do. When you have a lot of things planned and events to attend, you want to stay somewhere that is close to everything. 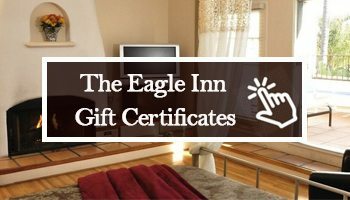 The Eagle Inn is your answer to an easier vacation. Located just minutes away from festivals, workshops, and events, you’ll always be in the center of the action. And just in time for spring! Give us a call at (805) 965-3586 or contact us online by clicking here. We’re looking forward to serving you this spring season! About The Eagle Inn: Located at 232 Natoma Avenue, Santa Barbara, CA, The Eagle Inn is one of the best beach side bed and breakfast hotels in Santa Barbara. Relax in comfortable surroundings just steps from the beach. Check the website for last-minute Santa Barbara hotel deals and hotel packages. Follow on Facebook for upcoming Santa Barbara events and Instagram for stunning photos. Call the front desk at (805) 965-3586 to learn more about hotel discounts and local deals.